Medical assisting jobs in North Dakota are on the rise. According to Projections Central, medical assistants can expect employment growth of 23.2 percent in the state from 2012 to 2022, with 20 new openings each year. Medical assistants are in demand in virtually every corner of the healthcare industry, but are most commonly found in offices of physicians, where they work directly with patients. Most medical assistants choose to specialize in either "front office," which means more administrative tasks, or "back office," which focuses more on direct patient contact. Read on to learn more about medical assistant training, education and certification requirements in North Dakota. Working in medical assisting is a great way to help others and get your foot in the door of the health care industry. With a degree or certificate in the field, you’ll work directly with patient by assisting with exams and administering medications. But before you choose a medical assisting program, it's a good idea to do some research because all programs are not the same. We’ve done some research for you, taking a look at factors like availability of career and counseling services, program duration, class sizes and tuition rates. Check out the top school with a medical assisting program for 2017 below. While completing classes within Dakota College at Bottineau's Associate of Applied Science in Medical Assisting or the medical assisting diploma program, students learn the practical side of assisting physicians, nurses and technicians by working with mannequins. Students also learn by practicing certain techniques and procedures on classmates. Through the college's articulation agreements, students could transfer their credits into four year programs. The diploma is a one year program. Graduates of the diploma program can take the national medical assistant certification examination. Graduates of the two year associate's degree program can sit for the registered medical assistant examination. How does North Dakota define "medical assistant"? In North Dakota, medical assistants are considered technicians who provide medical support services while under the direct supervision of a licensed nurse. Their work might range from checking vital signs to handling patient paperwork. Those who will be administering medication must register as a Medication Assistant III with the North Dakota Board of Nursing. Certification is not required in the state of North Dakota. However, if a student cannot prove that they have completed an approved medical assisting program, certification is considered enough evidence of competency. Those who intend to become a Medication Assistant III will need to undergo formal registration. Are there tasks outside the scope of medical assistants in North Dakota? Those who work as medical assistants in North Dakota will be pleased to know they might see higher wages than the national average. Below is a comparison of wages, based on 2014 numbers from the Bureau of Labor Statistics. The salaries for medical assistants can vary within the state, depending upon the geographical region. Here is what medical assistants can expect from work in various parts of the state. Employment in most healthcare professions is expected to grow dramatically in the coming years. Here are the details of double-digit growth in North Dakota through 2022. This national organization offers state chapters; North Dakota has three. The site offers a great deal of information on how to become a certified medical assistant. 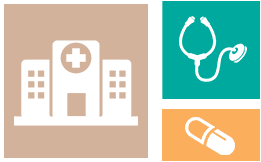 This PDF report offers a wealth of information on what medical assistants do in North Dakota, as well as some problems that might be faced by those in the profession. 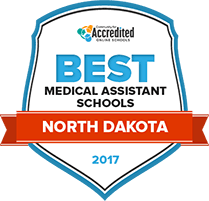 This site offers definitive information and applications for those in many areas of healthcare, including medical assistants (known as technicians in North Dakota) and Medication Assistant III. This comprehensive statute provides in-depth legal information for those who want to work as a medical assistant in the state of North Dakota.